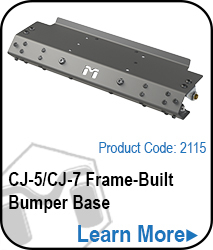 The MetalCloak Roller Fairlead Bracket is designed specifically for our Frame-Built Bumper System and is not a universal bracket. 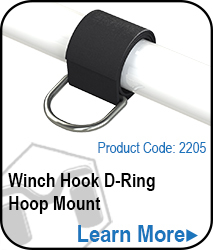 Our design lowers the center point of the tension on the winch increasing the overall strength of the Frame-Built Bumper system. Designed for mounting cable roller or synthetic line hawse-type fairlead, the Roller Fairlead Bracket is rugged and durable. Note: MetalCloak's Roller Fairlead Bracket does not work with MetalCloak's License Plate Adapter. 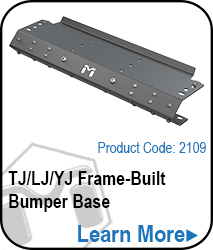 Part of the Frame-Built Bumper System for Jeep CJ's and Wranglers ('73 - '06), the Roller Fairlead Bracket fits all roller and hawse-type fairleads. Bolts directly on and works with all components.